Heroine and Healer or Wanton and Witch? When an infected bolt of cloth carries plague to an isolated village, a housemaid named Anna Frith must find the strength to unite a fearful and fragmented community but there is a very human cost. Based on Geraldine Brooks’ award-winning novel, this moving story reflects real life events that occurred in the village of Eyam during the plague year of 1666. Convinced by their minister to close off their village, the residents of Eyam quarantined their small community for a year to contain the infection and prevent the plague from spreading. Many died as a result. 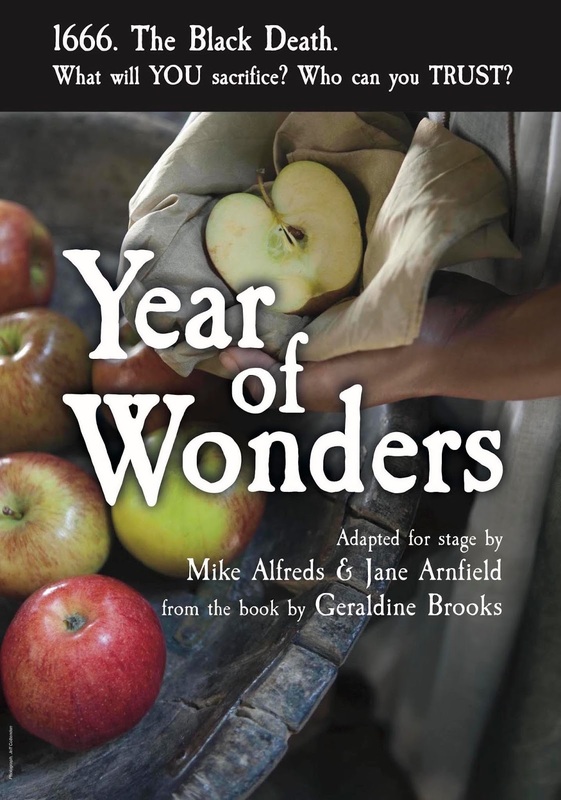 Year of Wonders is an uplifting tale that explores what happens when ordinary people and extraordinary events collide. In a community faced with death, we find hope within darkness and redemption within destruction. This powerful tale of one tiny community in the 17th century who sacrificed themselves for “the greater good” serves as a timely reminder of how fragmented, individualised and separated the 21st century has become. Brooks a Pulitzer Prize winning writer has gifted the theatrical rights to Jane Arnfield who is bringing this award-winning novel to the stage with director, long-term collaborator Mike Alfreds. Their previous collaboration The Tin Ring by Zdenka Fantlová toured to over 14 countries and played to thousands of audience members. The World Premiere of Year of Wonders will take place at The Lowry Theatre in Salford on 21st June and then tours the North East with performances at the Gala theatre in Durham, Alphabetti Theatre and the Lit and Phil in Newcastle upon Tyne. Jane Arnfield is Associate Professor and Subject Head of Theatre & Performance at Northumbria University. She has worked with three major ensembles: Mike Alfreds Method & Madness, David Glass Ensemble & Northern Stage Ensemble and received international acclaim for her performance in The Tin Ring. Australian-born Geraldine Brooks worked as a reporter for The Sydney Morning Herald and The Wall Street Journal, where she covered crises in the Middle East, Africa and the Balkans. She has a Pulitzer Prize in fiction and is regularly on the New York Times bestseller list.